Roverians Membership for the 2019 season is now available and can be purchased online today. Join us as we celebrate 90 years of the Rovers! The cost of a Roverians Membership remains at $75 for 2019 and as per last year, includes your first drink free at every senior home game (beer, wine or soft drink). It also includes a personalised stubby holder, free entry to Roverians events and the weekly ‘inner sanctum’ newsletter. 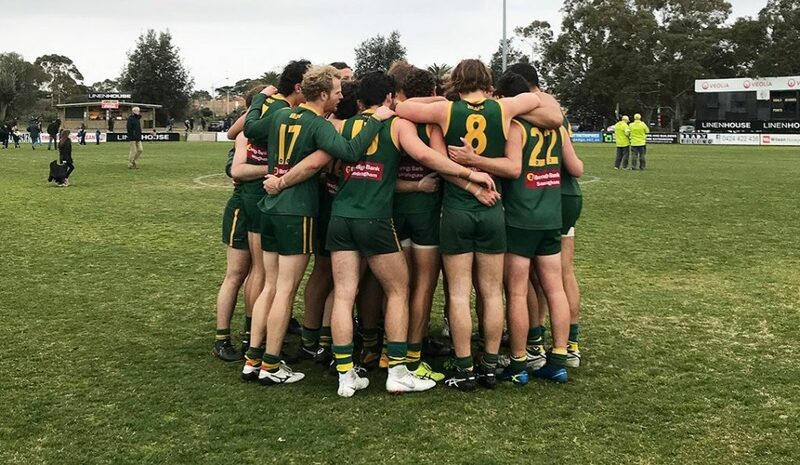 The Hampton Rovers Football Club will field more than 33 teams in 2019, including five Senior teams in the VAFA, with the Seniors participating in Premier C section of the VAFA after securing promotion last year. Anthony Quon continues as Senior Coach, while Sam Care has been announced as new coach of the Under 19s. After a promising pre-season, it looks like being a good season on the field for the club. The club will celebrate its 90th Anniversary in 2019, with a major whole-club function to be held on June 22 at the Brighton Town Hall. There will also be other activities during the year to celebrate this major milestone. Click on the following link to support the club and become a Roverians Member today! Also considering purchasing a Club Membership to extend your support for the Rovers – see the club website for details.